Rossini's upcoming auction features over 150 lots of fine jewelry and more, including an exclusive diamond Cartier Panther clip and bracelet. 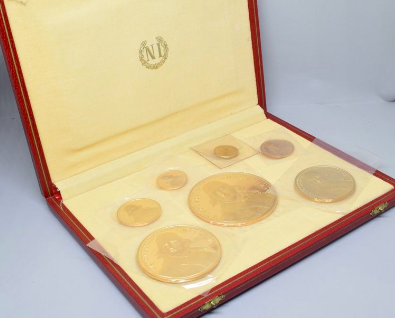 This box of seven gold medals was produced for the occasion of the bicentenary of Napoleon Bonaparte's birth by the Monnaie de Paris, the government-owned mint. This lot is estimated between $5,600-6,800. 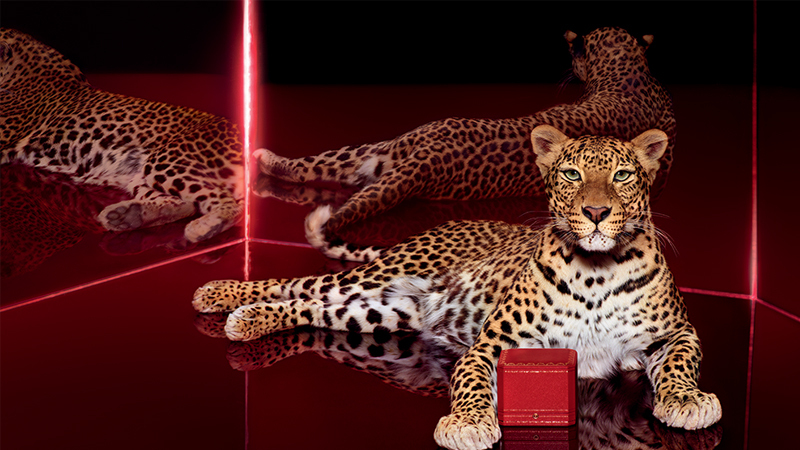 The two premier lots of the sale are inspired by the iconic Cartier panther. 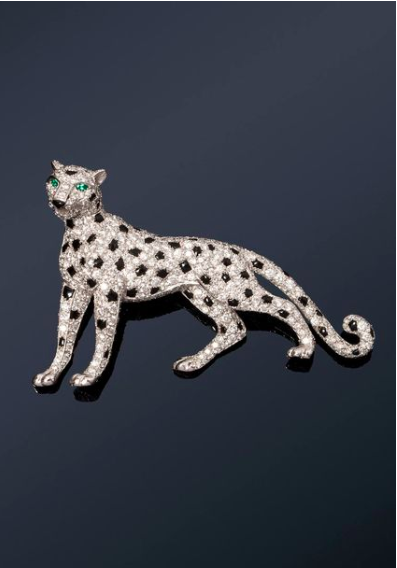 This "Panther" clip in 18k white gold and natural chiseled platinum entirely set with brilliant cut diamonds speckled with onyx is typical of the Cartier house. This feline boasts a swiveling head and eyes decorated with pear-shaped emeralds and was designed in the 1990s. It is estimated between $56,000-90,000. The semi-rigid 'Panther' bracelet in 18k white gold is made up of a slightly crowded, articulated band entirely set with brilliant cut diamonds dotted with sapphires. It is estimated at between $34,000-56,000. Another exclusive piece is an 18k yellow gold pendant made of a crescent cut with a square clip. It is set with a cabochon cut round emerald surrounded by old cut diamonds, six shuttle rubies and three fine pearls held in tassels. This French work executed around 1860 reflects the eclecticism of the 19th century and is estimated between $4,500-$6,800. 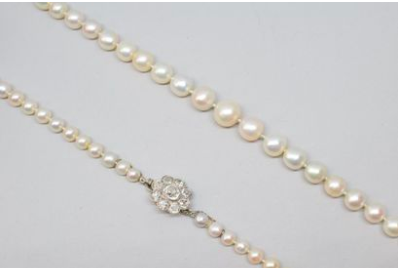 This necklace of seventy-seven thin pearls with a platinum clasp is set with old cut diamonds and accompanied by a certificate of the LFG from February 2019 indicating the quality of the sea water pearls. This necklace impresses with the size of the pearls which vary from 4 to 8 mm, and the quality of their luster which is called the 'orient'. The orient is a rainbow hue which gives a shining effect to the pearl. This color, often elusive, appears to move with the pearl when turning. This necklace of 50cm long is estimated between $22,000-34,000. 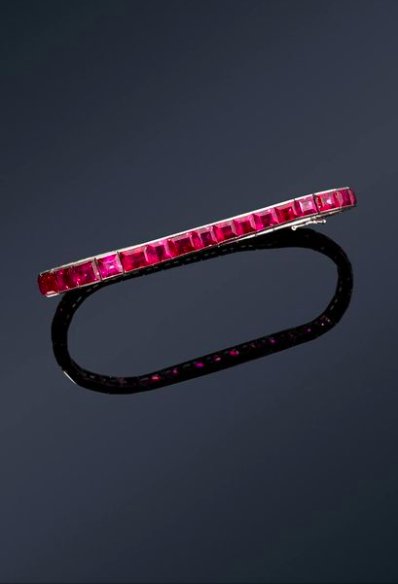 Made in platinum and 18k white gold, this soft bracelet is set with thirty-five Burmese ruby baguettes and is probably from the Chaumet house. A necklace of the same inspiration has been reproduced in the book Cartier: the Jeweler of Platinum by Franco Cologni and Eric Nussbaum, published in 1995. It is estimated between $11,000-17,000. 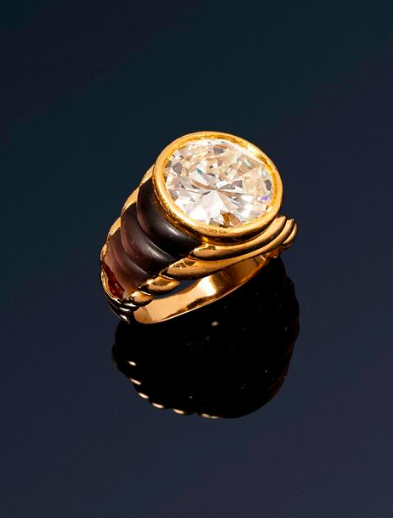 Still in the series of signed jewels, but from the Mauboussin Paris house, this yellow gold 18k ring boasts a half-size framed diamond mother of pearl of about 5 carats and is estimated between $14,000-17,000. 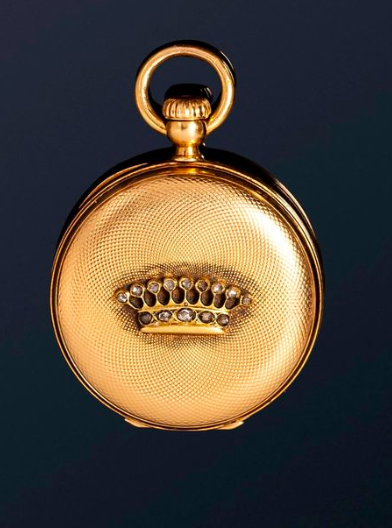 This Patek Philippe gold soap-bar watch has a guilloche case decorated with a crown in relief. The enamel dial with Roman numerals has a railway timer with crown winding movement, cylinder escapement and a balance spring. This lot is estimated between $1,500-2,200. 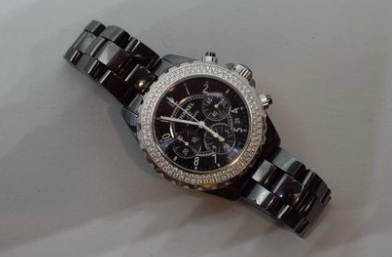 This Chanel automatic wristwatch has a round ceramic case, black-ground dial and Arabic numerals for hours. 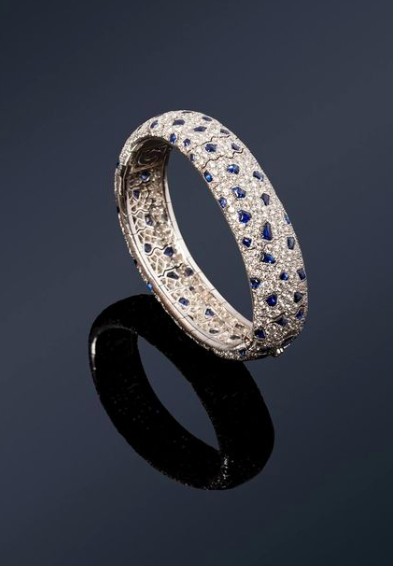 The unidirectional rotating bezel is paved with diamonds and estimated between $4,500-6,800. 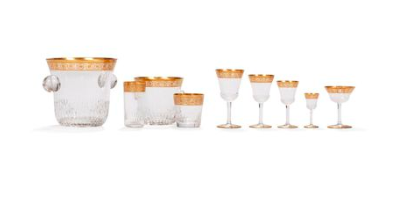 This exceptional service of glasses is from the house St. Louis and is the model Thistle in engraved, partly gilded crystal. The lot includes 96 glasses, a bucket for champagne and a bucket for ice cubes. It is stamped on the reverse as "Cristal Saint Louis France". It is estimated between $6,800-9,000.